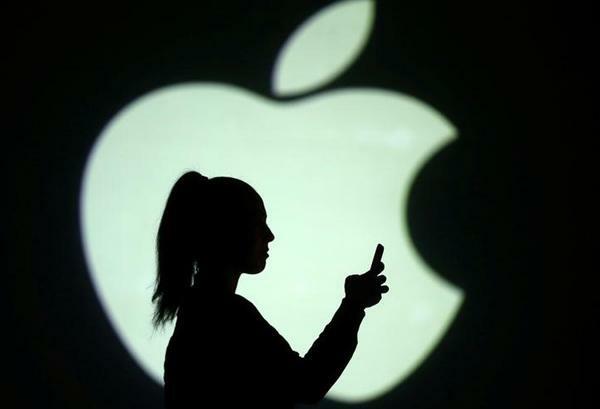 Apple has beat revenue and profit expectations in its March quarter as it sold 52.2 million iPhones, barely below Wall Street targets and showing some resilience as global demand for smartphones wanes. The company also predicted a revenue range of US$51.5 billion to US$53.5 billion for the June quarter, with a midpoint ahead of the US$51.6 billion Wall Street expected. Apple also boosted its capital return program by US$100 billion, with repurchases from the increase set to begin in the June quarter, and said it bought US$23.5 billion of stock back in the March quarter, a sign that it is bringing back most of its hundreds of billions of dollars in cash to the United States. The share repurchases in the March quarter drove Apple's cash net of debt down slightly to US$145 billion. "We are returning the cash to investors as we have promised,” Apple CFO Luca Maestri told Reuters in an interview. Apple has been at a challenging crossroads this year with sales of its flagship iPhone X disappointing many observers. Investors have watched Apple closely in recent weeks as a string of poor forecasts from the smartphone supply chain signalled that iPhone demand may be lower than previously expected. They have also been watching carefully for signs of what Apple plans to do with its hundreds of billions of dollars in cash. Apple posted revenue for its March quarter of US$61.1 billion, up from US$52.9 billion last year. Wall Street expected US$60.8 billion, according to Thomson Reuters I/B/E/S. The company sold 52.2 million iPhones versus expectations of 52.3 million, according to data from Thomson Reuters, up from 50.7 million last year. Average selling prices for iPhones were US$728, compared with Wall Street expectations of US$742. Maestri told Reuters that clearing channel inventory of 1.8 million iPhones - most of them iPhone X and iPhone 8 models - accounted for some of the difference.Profits were US$2.73 per share versus expectations of US$2.68 per share and up from US$2.10 a year ago. The company forecasted a midpoint of US$52.5 billion in revenue for the June quarter, beating analyst expectations of US$51.6 billion. Apple's services business, which includes Apple Music, the App Store and iCloud, posted US$9.1 billion in revenue compared with expectations of US$8.3 billion. Heading into earnings, investors were hopeful that growth in that segment could help offset the cooling global smartphone market. Apple traditionally updates its share buy-back and dividend program each spring, and the US$100 billion it added this year compares with an increase of US$50 billion last year. The company also increased its quarterly dividend 16 per cent, compared with a 10.5 per cent increase last year. In February, Apple said it planned to draw down its excess cash, though CEO Tim Cook had downplayed the possibility of a special dividend. But investors have had concerns around Apple because of a brewing trade tensions with China. While there has not yet been a tariff on devices such as Apple's iPhone, Cook last week travelled to Washington to meet with U.S. President Donald Trump at the White House to discuss trade matters. "We believe tariffs at the end of the day are a tax on the consumer," Maestri said. Apple has been emphasising its contributions to the U.S. economy in recent months, outlining a US$30 billion U.S. spending plan and highlighting the tens of billions of dollars it spends each year with U.S.-based suppliers. In recent months, Apple has been emphasising the size of its overall user base, which includes used iPhones, rather than focusing strictly on new device sales, a sign of the increasing importance of making money off users without selling them new hardware. Apple shares have dropped 0.1 per cent this year and closed at US$169.10 on Tuesday, down 1.8 per cent from their price of US$172.26 at the start of the year. Their performance lags the NASDAQ Composite Index, which was up 3.3 per cent for the year.